Swaths of Apple users are trying out Linux for the first time this week, with varying results. We discuss why & how it’s going. 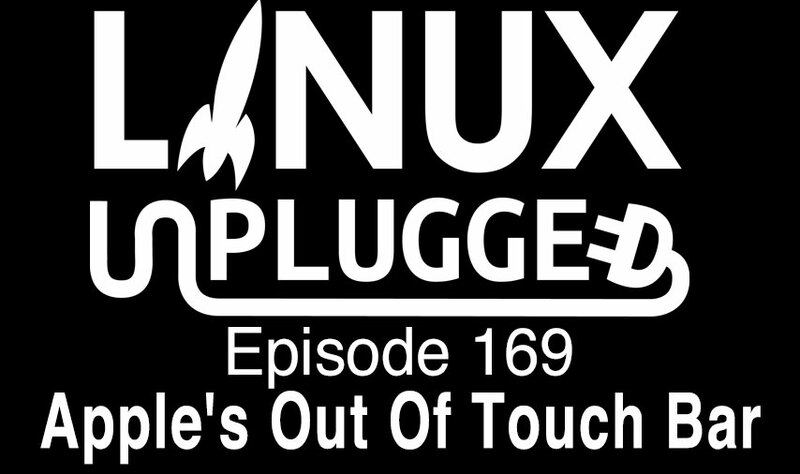 Then, we play some great clips by long time Kernel guru GregKH, dream about a future Linux living room, update you on a ton of great projects & more! My old camera, a Canon EOS 300D is an old digital SLR camera, and it works really well and still takes a good picture. But last night I turned the camera on while on the train, and to my horror the camera crashed and became unresponsive. Linux Marketshare Is Above 2-Percent For Third Month in a Row – OMG! Ubuntu! and the Star Trek: Borg interactive movie/computer game and audiobook. This has led more answers on the same thread on the linux_gaming subreddit, where folks got together to order a delivery of delicious cookies to motivate Aspyr to support Linux’s Civ6 port. They come from Tiff’s Treats in Austin, in case you want to make sure you get excellent cookies if you pass by the area. The new MacBook Pro has a premium price for a Mac that’s still limited to 16 GB of RAM, has CPU performance that is likely lackluster because Apple didn’t talk about it in the keynote, and apparently doesn’t have such a great GPU, either. Apple prioritized thinness and lightness, which I care about hardly at all. I would rather have better performance, a good keyboard, more storage, a larger display, more ports so I don’t have to carry dongles, an SD card slot, etc. Double the weight and half the battery life would be fine with me. I’m not saying Apple shouldn’t make thin and light notebooks, but why do they all have to be that way? There is a catch. The 15-inch Oryx Pro is 1-inch thick and weighs 5.5 pounds. The new 15-inch MacBook Pro is 0.6 inches thick and weighs 4 pounds. I’m not slamming the Oryx here — there are plenty of performance-hungry Mac users who wish that Apple made a MacBook this thick and heavy if it meant they could install up to 64 GB of RAM and had all the ports they wanted built-in. The true reason the MBP doesn’t come with ddr4 or 32gb of ram, more technical then you think. The true reason behind the lack of 32 GB or DDR4 is Intel. Skylake does not support LPDDR4 (LP for low power) RAM. Kabylake is set to include support, but only for the U category of chips. So no LPDDR4 support for mobile until 2018 I think. One example is the Dell XPS 13. On the Dell XPS 13 version, you cannot go for 32 GB of RAM. Meanwhile, the 15 inches does give you that option, but you have to sacrifice battery life for it. Apple marketing chief Phil Schiller, in an email to MacRumors reader David, explained that for Apple to make a notebook with support for more than 16GB of RAM, it would have to use a memory system that consumes too much power. Regarding price, Schiller said in an interview that affordability is “absolutely something we care about” but that the company designs for experience rather than price. I was really disappointed with today’s Apple event. It seems like Apple has either lost its way, that it has lost touch with what (some of) its customers want, or that it simply doesn’t care about those customers. Developers are a captive audience, and creative professionals can switch to Windows, I guess. Apple no longer considers them core. There’s nothing particularly wrong with what Apple announced. I like Thunderbolt 3. The display looks good. I’m not crazy about Touch Bar, but it does seem potentially useful. The problem is that the MacBook Pro is not a true Pro notebook. A fart app for the new Macbook Pro’s Touch Bar. I’m usually the first one to make a fart app when the opportunity presents itself, so why not? The Keynote Fireside Chat at ELC Europe, held Oct, 11-13 in Berlin, focused primarily on two issues: whether older kernel maintainers should hand their jobs over to younger developers, and how to best bring open source scofflaws into compliance (see below). 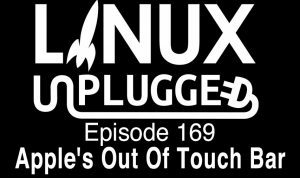 Meanwhile, here are a few other edited quick takes from GKH about issues ranging from patch review technologies to the role of Linux on microcontrollers.